$1,000 Sweepstakes with Target and Cartwheel by Target! I have written a post or two about how to save at Target. They already have great deals, but its even better when you get better deals than what's on the tag. I never pay retail for anything. I say that all the time. And Target offers great ways to bypass the whole retail thing...which is pretty much awesome. Besides their online coupons, mobile coupons, printed coupons, and RedCard, Target also has CartWheel. I can't tell you how much I love this thing. I always make sure my phone is charged before I go into the store so I know I'll be able to use it :) Trust me, it died once while in the store, and totally sucked lol. Learned my lesson. 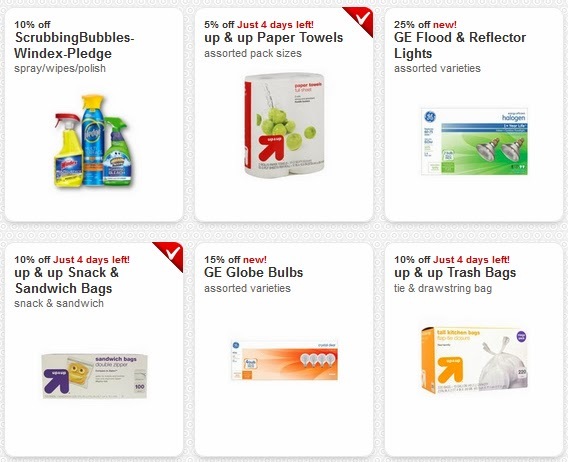 Target offers amazing Cartwheel deals on everything. They have over 700 discounts. And a ton of those are for the home and home decor. For decor, to save even more, I usually wait until the item I want goes on sale and then use the Cartwheel deal. Right now, they have a 25% discount on Threshold Bedding! That's super amazing. They also have furniture and rug deals. And on big ticket items like that, that means you are saving a ton! And now that I have the little babe, I really think half of my budget goes to her stuff. 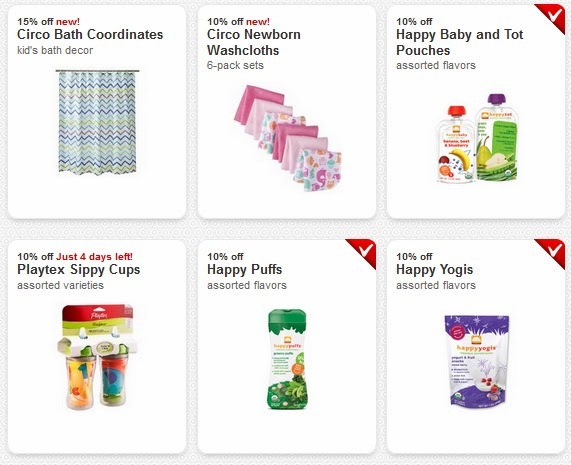 And luckily, Cartwheel has a slew of items to save on for babies and toddlers. Diaper discounts...all the time. Organic food discounts, clothing discounts, shoe discounts, wipe discounts, discounts on nursery items. It's crazy. I save about $5 every time I go in just on her food alone because of Cartwheel. The best part about Cartwheel and if you use the app is that you can scan as you shop. You can scan the bar code of something you are getting and check to see if it has a discount on Cartwheel. If it does, you just add it. Once you are all done shopping, you just show the bar code at checkout and you get the discounts. So, when Cartwheel first came out, I wanted to use it. And went to use it, and noticed that you had to sign up for it with Facebook. I then noticed that it would post to your feed. That completely deterred me so I didn't sign up for it. But then after seeing some really good deals I was passing up, I decided to sign up anyway, and then noticed that you can make it 'private' where Cartwheel won't post to your timeline so everyone can see. Cuz, as much as I would love all my friends to know I was about to save on tampons.... :) So, if you are like me and want to keep your personal buying and spending habits a secret, you still can. Another awesome thing about Cartwheel, it's completely different than using coupons. You can use the discount over and over again until it expires and on multiple items. But don't worry if something you love expires, I noticed that the deal usually comes back up again pretty quickly. So, to summarize. 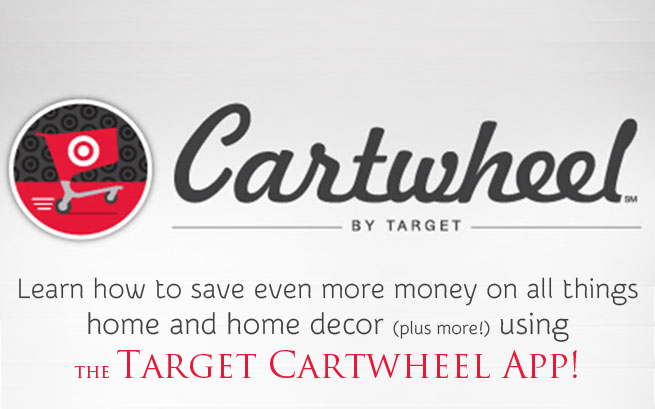 If you aren't using Cartwheel when you shop Target, you should. You are totally missing out on savings...and essentially missing out on free money. You can shop the discounts or shop and find the discounts on the every day things you are already buying. I have to add this in too, you should also use their RedCard. Especially if you are a serious Target shopper. It scares me to think of how much money I spent there last year when it says my savings are over $250. That's a 5% discount on everything I buy. You do the math. :/ Yes, that is how much I love Target lol. Not to mention the $70 savings I have already saved with Cartwheel. Now, on to the Sweepstakes! You can enter to win a $1,000 Target GiftCard®!! Leave a comment telling me what you would buy if you won the $1000 Target GiftCard. $1,000 gift card to Target...that would totally redecorate my art studio, which is badly in need of some fixing up! I would buy a number of household items: new dishes, tumbler glasses, towels, sheets and a few groceries. I would buy stuff for decorating my new house!! would really help! 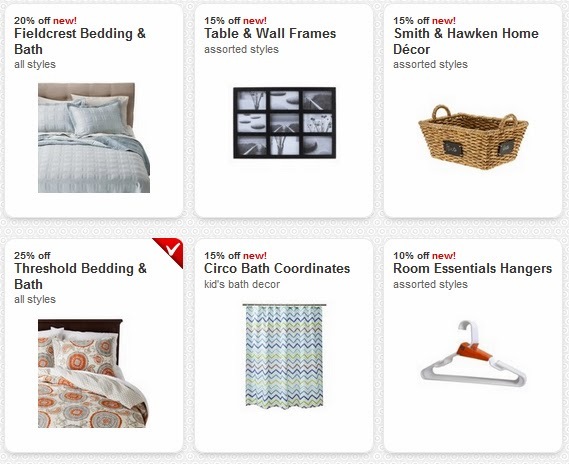 Including, new towels for all the bathrooms, lighting, storage (I love some of the Target woven bins that are currently on sale), and also some new end tables/furniture. I would buy some nice decor for our home and lots and lots of diapers. Gosh I love Target! We just moved into a new much larger house and I need furniture and organizing stuff! And gorgeous new towels for the bathrooms! I would buy things for the new apartment! I need curtains, area rug, bathroom rugs, shower curtain, new sheets, maybe a few more kitchen gadgets, random decor, a few things for the kiddo, also some new clothes would be nice! I would get furniture. We are lacking storage for our office so that would be first. We're moving soon. I don't even know what I'd get, but everytime it happens, there's 100 trips to Target we usually take! We've been trying for a baby for a while, $1000 would let us create a nursery for when he/she finally gets here! If I were the winner, I'd buy things to remodel my bathroom! If I won I would redecorate my room and get new bedding!! Love Target! I could do some redecorating damage with $1,000. I could also buy a lot of groceries and household items with that much money. I would buy clothes for the whole family. It would definately be something for the house, a rug maybe? I would buy furniture/decor to outfit my new apartment! I downloaded Cartwheel but I don't understand how to use it to scan items - it just seems to be a list of things on sale. Where is the barcode that they scan also? I would buy a couch they have online that I have been stalking for a few months! I would buy a new dinning room table. After my kids have managed to spill, crunch, and wipe everything I have fed them in the past months it's looking very ugly. I'd buy groceries (for a long time) and a few spring outfits! Oh wow, this would be unbelievable. I would really like to help my mom get some things she needs like clothes and food, but I'd also get some books or dvds - something fun. I am not sure where to start!! I would by chairs for the table I got on a swip swap and re-stained. It would be the perfect homework and snack spot for my daughter. I would also by some essentials that I have put off... and some things for my daughter's school too, and save the rest for some cute back to school clothes for her. Thanks for the chance to participate! I would buy a flatscreen TV and a laptop, and maybe some new bedding and décor. The first thing I would buy would be a baby mattress for my new grandchild who is due to arrive in April. After that purchase I would be looking for all kinds of things. Thanks for the great giveaway. I would love to buy new bedding and a bedroom chair with $1000! I also love Target and go there when bored. -Kirby, kirbypettigrew@gmail.com. I guess I wasn't signed in. Oh what I could do with $1000... I'd definitely use it to redecorate my family's home. My dad bought this house in the 70s.. and you can tell because some of the rooms look like they are straight out of That 70s Show. Almost everything we own was either free or very, very cheap because my family is extremely frugal and would rather spend money on more important things (like bills, vacations, etc.) then on buying new things, since you can get something used much cheaper (or better yet, free). So if I could get rid of some of our ancient furniture, appliances, etc., and buy new things for them for once.. that would be great. seems like a neat app! I LOVE Target & I could do alot of damage with $1,000 lol..especially now that I know about the cartwheel app! 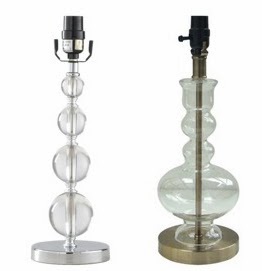 I'd buy stuff to redecorate my living room with!! It needs some serious help..Thanks for the chance to win!! I need bedding and lighting for my bedroom. Oh man, I don't even know! New bedding, some clothes... 1000 is a lot at target! I would buy new bedding for all our rooms!! I've been eying a rug lately, and we're redecorating our office. Target has such great home decor options right now. I just moved, so it would be awesome to use that 1000 on home decor! I would buy curtains and wall hangings for our home. We have been here 7 1/2 yrs and still haven't put anything up in our living room! Crazy I know. Would LOVE to win. What WOULDN'T I buy with a $1000 Target gift card?!? I'd get a couple of new area rugs, clothes for the new babe, probably food and formula too. I'm sure new curtains would be in the cart, and new bedding! Ahh - how exciting it would be!! I would buy some new bedding and two new rugs for our new wood floors. We are moving to a new house, and I would buy things to decorate. We have a baby on the way so I would use it to by stuff for the nursery! Crib, changing table, dresser for starters! Oh Geez! $1000 to spend at Tar-jay? I've had my eye on a couple of chairs for the master bedroom, some lamps for various rooms, I desperately need bedding, a rug for downstairs, and all of the adorable little tchockies that make a space your own. I need some rugs...and new towels...and I can never stop buying more baskets. Nope, wouldn't have a problem coming up with stuff to buy. We would start buying some things from our (OLD) long wish list, starting with new towels and blankets! So many amazing things to buy at the red and white wonderland! I'd buy some clothes for my kids (from their great clearance racks! ), some new towels/sheets and a bedspread, supplies to start redoing my kitchen cabinets, groceries. I'd finally "splurge" and put some pictures on our walls. And, that wouldn't even use up the $1000 gift card! (too early for 2014 Christmas shopping?!). By the way, I love your blog! Read it all the time! Kid clothes, baskets for my linen closet, and a few home decor items to spruce things up for spring! This is so cool. I would buy new bedding and new towels and new dishes and new clothes and shoes and makeup!! I just lost my job and I would buy groceries and hygiene items mostly. You know the things we need but hate to spend money on. Wow--all new curtain rods, window coverings and bedding, with maybe a few bath rugs thrown in as well! I'd buy all the things I need and some of the things I like, but can't afford right now...I would be a nutty woman if I won lol for sure...thanks! I would buy new bedding for the master and guest bedroom. I would also decorate my craft room. Thanks for the info and the contest. New linens for my son's room would be fabulous. I would buy groceries and a stroller. Groceries, items for my kiddos, and a few things for our house? I would love it for groceries, a car seat, and baby gear! Love Cartwheel! The search feature is awesome. I use coupons all the time, and it saves our family lots of money. I like using it on clothes, baby things, groceries- everything! If I won, I'd love to buy furniture/home decor. I love Target. I'd buy a shelf system for the garage, some kitchenware, clothes for the kids, and stuff for the bathroom/bedroom. I would buy myself, my husband, and my 4 year-old a ton of new clothes. I'd also buy my daughter some Lalaloopsy dolls. I would definitely hold onto it until cartwheel posts some deals that I can use (Love!). Then I would pick out some new furniture & bedding, & use the rest to stock up on food & household stuff. Target is a great place to shop at and to save money. I would buy work out clothes if I won. I would buy a new tv since ours is on its way out. Thanks for the opportunity to win! We are in desperate need of area rugs! $1000 could get me a few!!! I don't have a device that uses apps. I love finding home decor items at Target. I would buy curtains and furniture for my home! Furniture and soft goods for my master bedroom. I would buy some new sheets and towels and rugs. I would also purchased some groceries. I'd give my kitchen a makeover and get some storage solutions for the whole house. I am moving across the country this spring, I'd use this to decorate my new place. $1000 at Target would be so helpful - just moved and in need of a number of new items, particularly a coffee table and area carpet! I do love the cartwheel app, and would love a thousand smackers to finish a couple of these projects around our home! Thanks! My daughter is having a baby very very soon so I would buy dipes and wipes and clothes and furniture. Everything that little peapod will need. I would buy new bedding for all the rooms in my house, some rugs, and curtains. I love Target and would probably spend more than the $1,000. I will buy new bedding, and curtains for master bedroom a rug for the living room and running clothes with the $1000. I would buy all my daughter's college supplies. i would buy everything threshold! I am drooling just thinking about all the cute things I could buy for my apartment with $1000. I have my eye on a big area rug for our living room, and a new desk with a stylish chair. HELLO NEW KITCHEN STUFF!!!!!!!! I would love to win I love shopping at target. New pillows and throws for the couch. new bed spreads. WHERE TO START. COUNT ME IN!!!! $1000 at Target would go SO FAST with me. I'm actually in the process of wanting to redo all of the house we rent, but can't because our one and only car broke down and we need to buy a car now. So... if I were to win if would make my year. Seriously. I've been eying new bedding and pillows and curtains... so many many many things. My bedroom needs a serious update and my daughter is 4 so now she wants a big good room. $1000 gift card would awesome! I love target too. It would be so fun to buy new dishes and other fun things for the kitchen. I would also shop for pillows, new lamps and pictures for our great room. I would buy a year's supply of cleaning products, paper products, cleaning items, & shelf stable medicines. 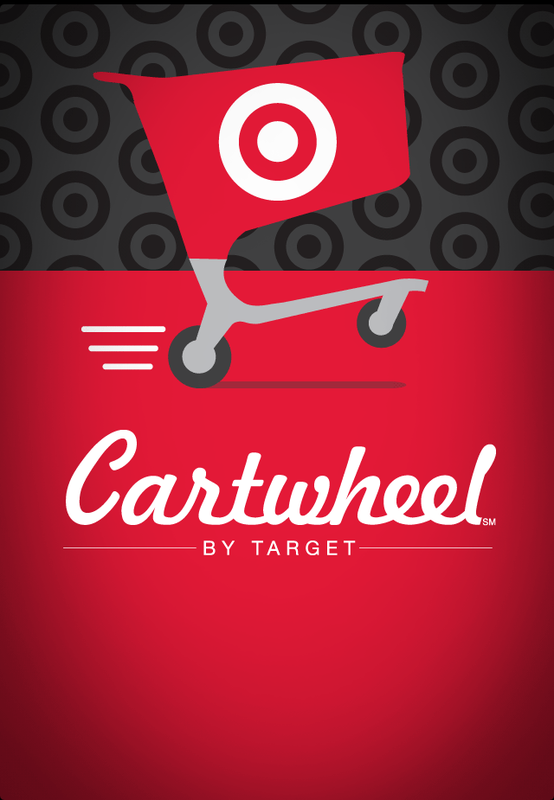 I'm excited to try the Cartwheel app, too. Thanks so much for the info! I would buy a new laptop and a tv! This would be so amazing. There are a few chairs I've been eying for our living room as well as tons of accessories. Our baby's room renovation was basically all target. Crossing my fingers to win! Oh my! I would get so much use out of this 1,000 dollars! I am a teacher and feel like I am pretty crafty and nifty... but... I just recently bought a house. It would be nice to get a few new things! New bedding would be at the top of my list! My youngest sons room is desperate for a make-over....so I'd start there and work my way around the house! Thanks for the chance at such a great give-away! I would buy bedroom/household items. We are moving from a 2 bedroom to a 4 bedroom... May daughter's never had a bedroom! I am so excited to decorate a room for her! Girly time! I would buy tons of the threshold and nate b stuff! A new sofa table and coffee table, plus lots of groceries! I'd get myself a GPS running watch, and I'd save the rest for school shopping! I would buy a new mattress for our baby bed. We've a new one coming in September. The rest I would use to redecorate the girls room focusing on toy organization. If there was any left at all... I want a new camera. I'd shop for groceries and other typical items. Maybe I'd update some household decor! I would buy groceries for sure, then something fitness related for myself. I would spend the bucks redoing my living room to make it more presentable! If I won the $1000 gift card I would SAVE it and use it to do my Christmas shopping. First thing I would buy is a new laptop. If I won, I'd buy things to redecorate my bedroom! I love walking through the home decor aisles of Target dreaming of how i'd use each and every beautiful piece if my budget were endless! Winning a $1000 shopping spree would be a dream come true! Thank you for the opportunity!!!! I would buy wedding gifts from my daughter's wedding registry and then a few other things to finish a makeover in my master bath!! Awesome giveaway! I'd get clothes, maybe a TV, and then groceries. This is an amazing giveaway! I would buy home renovation supplies and new bedroom decor for my two children. Thanks for the chance to win. I would decorate my bedroom! And buy baby stuff for my little one coming in June! I would buy some new pieces for my deck this Spring! oh boy ! lets see .. a swimsuit, printer ink, boots, towels and maybe a new laptop ..it's fun to dream! I would buy new wardrobe if I won!